Since its official launch last summer at Farmfest, the momentum behind the MN Corn Grows MN initiative continues to strengthen. The campaign began by bringing candidates for elected office to family corn farms and has since grown to promote the vital role of corn farming in our state with all Minnesotans. 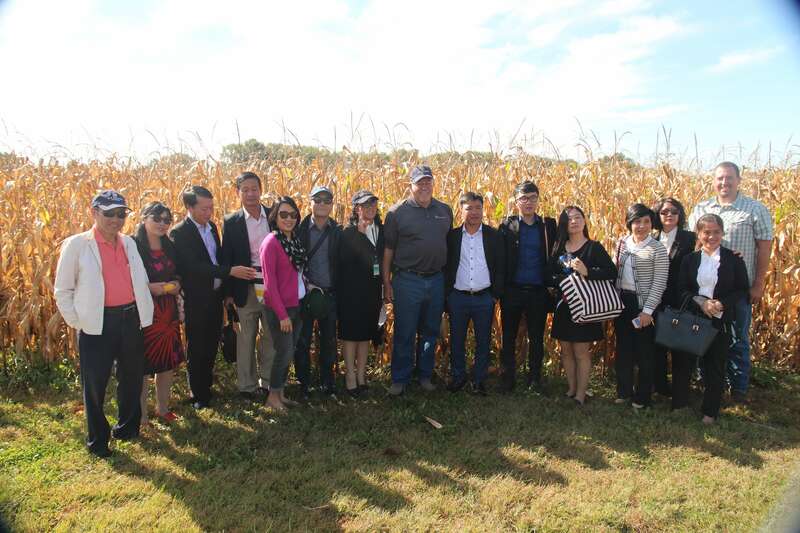 To date, eight gubernatorial candidates and four candidates for Minnesota’s 1st congressional district visited family corn farms. By spending a couple hours on the farm, candidates have been able to build relationships with the state’s farmers and learn more about the issues impacting the ag sector. In addition to ongoing corn farm visits by candidates for elected office, MN Corn Grows MN is sharing the importance of corn farmers with the general public through blog posts, videos and infographics at MNCornGrowsMN.org. Each highlights the impact of farmers in promoting rural development, building relationships abroad, investing in conservation-minded research and much more. Blog posts that dive into topics like the many ways corn farmers support Greater Minnesota communities or how corn farmers are investing in protecting water quality are promoted on social media to reach thousands of Minnesotans. And over the summer, you will hear the message of MN Corn Grows MN on your favorite radio airwaves, as well as on billboards throughout Minnesota. In the days leading up to November’s midterm elections and beyond, MN Corn Grows MN will continue to elevate the importance of corn and our state’s farm families with candidates for elected office and the general public. We hope you join the conversation. As a member of the ag community, follow and share how #MNCornGrowsMN today.